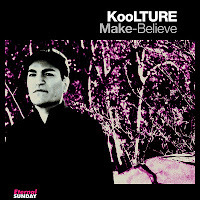 Make-Believe is the first single in more than a year by electropop master producer José Tramontini AKA KooLTURE. After releasing the album Uncovered and several promo singles, remixes and demo collections, the fans finally has the chance to listen to an advance of the new KooLTURE album. And they’re not going to be disappointed: “Make-Believe” has all the classic KooLTURE ingredients: it’s passionate, it’s catchy, it’s perfectly produced and it’s an amazing song. The single comes with a remix of “Like A Cat” by the amazing producer and remixer Ladies On Mars and a downtempo, reflective B-side, “Is This Love”.